How to become a private pilot? You have to be affiliated to AVIA SPORT II and hold a medical class II certificate to obtain a pilot training license and to be allowed to start practical training. Only specially authorized doctors are entitled to deliver the medical certificate. The training license is delivered by the DAC (Direction de l’Aviation Civile). To start practical training, the candidate must have at least 16 years of age. Practice and theory can be trained in parallel. Nevertheless, the candidate must have successfully passed the theoretical examination to be allowed to take the practical test. To obtain the private pilot license, the candidate must at least be 17 years old, he must have successfully passed the theoretical exam and have flown a minimum of 45 hours. 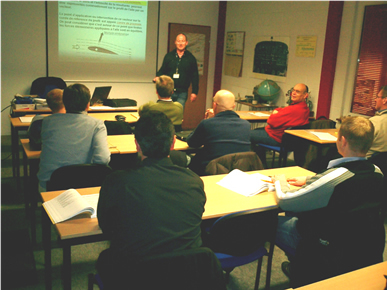 Theoretical classes are held in our premises at the airport, twice a week in the evenings, from October to April. The syllabi contain: air law and ATC procedures, aircraft general knowledge, flight performance and planning, human performances and limitations, meteorology, navigation, operational procedures, principles of flight and communications. This should be mastered without bigger hurdle as all the required material is provided to the student pilots at the beginning of the theoretical sessions. The whole tuition process is shown in the AVIASPORT Tuition plan. Basically, progress depends on the student´s individual abilities and his availability to devote enough time to the process. 2.	successfully pass your practical examination. Now, the student has progressed to a LICENSED PRIVATE PILOT, entitled to all privileges of a flying club member. Flying is nothing about rocket science and there is no need to worry about high flying intellectual prerequisites. ALL YOU NEED TO KNOW is taught by our instructors and they hold an impressive record of successfully accomplished student trainings. How much does the PPL cost? Above mentioned prices are only given as a guidance and may be subject to changes. The final costs mainly depend on the amount of required flight training hours.